Dan the Pixar Fan: Welcome to my Blog! Hey Everyone! My name is Dan Taylor. I'm a 24 year old student and lover of all things Pixar. My wife Brita and I are from CT but are currently living in Rexburg, ID for college. Brita is graduated (working as a registered nurse) and I'm a communications major with a video production emphasis with just a few semesters left. 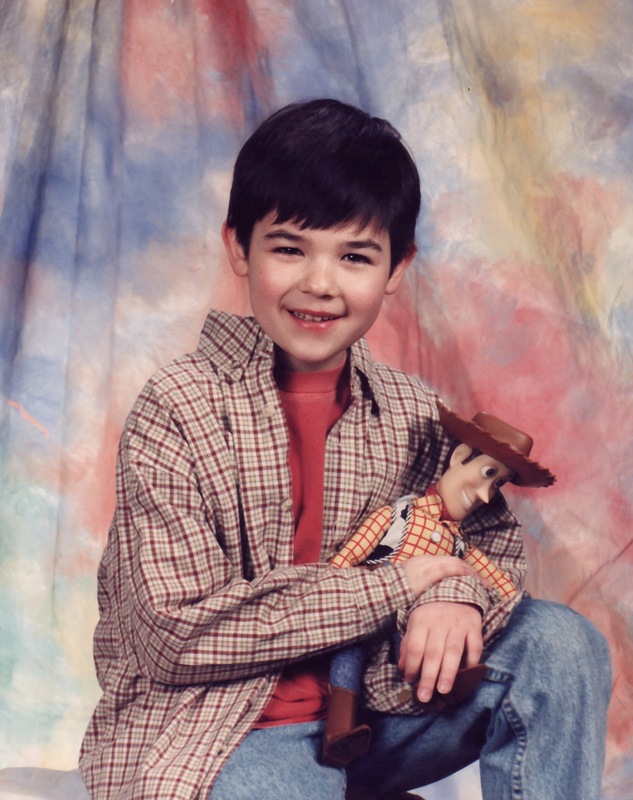 I was five years old when Toy Story arrived in theaters and I still vividly remember getting my first Buzz and Woody toys. I was such a huge little fan of the movie, and of toys in general, so it didn't take me long before I started to collect all of the Toy Story characters that I could get my hands on. I wanted to have a room just like Andy's (including the cardboard buildings which my mom helped me make). As the years went on, I continued to love every Pixar film that came out and always anticipated the release of the toys as well. That same passion for the Pixar films and merchandise continues with me today. As an adult, I love to display my collection and show it to my nieces and nephews. They love to come to "Uncle Danny's" room to play and I look forward to the day when I can give my own kids my collection and create a room for them filled with Pixar magic. I have created this blog to document my ever growing collection and to show other Pixar fans some cool, fun and sometimes unique collectibles that may interest them. The blog is updated every single day with an item from my Pixar collection... If you have any questions on certain items, feel free to ask! Also, please comment if you have the chance as I love receiving and answering them. I know I have been inspired and helped by other collectors and hope to do the same!